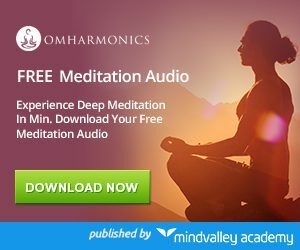 →Omharmonics Meditation Music by Mindvalley Review-Forget Binaural Beats!! I would like to begin this Omharmonics review with a short personal story. When I was beginning my spiritual journey, I was very anxious to experience the deeper states of meditation. As we know, too much anxiousness leads to stupidity. So, I started listening to the binaural beats that are available for free all over the internet now. With a plethora of people making and uploading these soundtracks, it has become very difficult for people to stop themselves from trying them out. I won’t deny it, I did see some effects when I played some of these audios, since I was very much interested in lucid dreaming and it worked perfectly in that particular area for me, I became a regular user of binaural beats. Then within a few days I started feeling very restless and I found it hard to silence my mind during my regular meditation hours, what was even worse is that my sleeping patterns got disturbed. Luckily, I realized that binaural beats don’t suit me and I stopped using them. Things went back to normal soon after I stopped using these tracks, but from that day I have never touched such audios. I am not saying that these audio tracks are dangerous because many people I know use it regularly and they have found them pretty safe as well as effective, it just didn’t suit me. Then I came to know about Omharmonics, since Mindvalley is a well trusted personal development product publishing company and I have been following them for a very long time, I tried their free downloads and got impressed. I have never regretted buying this program, unlike those free audio tracks I had to spend my money here, but it was worth paying for this product. 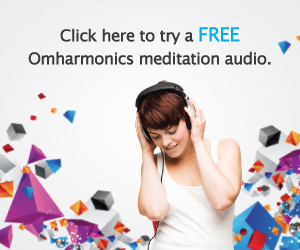 In a way one can say that Omharmonics is a refined version of brainwave entrainment audios. Even though they fall into the category of binaural beats, I have never felt like I am listening to those irritating soundtracks while using these audios. 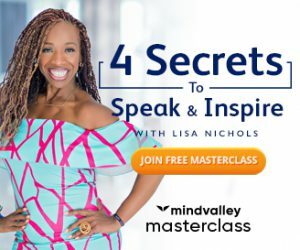 The product is created by Mindvalley’s founder Vishen Lakhiani with Paul Hoffman, who is an expert in the area of sound engineering. 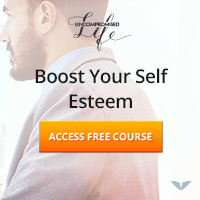 These audios are very different from the regular brainwave entrainment tracks because they have modified it using something that they call MRT technology. I don’t know much about this multivariate resonance technology, all I know is that in place of those weird beats, here you will be hearing heart beats or breathing sounds which is pretty much soothing to ears. Actually, it’s entirely based on the brainwaves; every state of mind has a corresponding brainwave frequency and by subjecting the mind to the tone of a specific frequency we can deliberately induce the desired mind state. To do this, two different frequency tones are played through the left and right channels of the headphone (yeah, you need headphones to make this stuff work), the frequency difference between these two tones is the brainwave that would be induced. Brainwave frequency – Above 14 Hz. This is the waking state of mind where a person is completely conscious of the physical world. Brainwave frequency – 7Hz – 14 Hz. A semi conscious state which happens in between the duration when you go from wake state to sleep state. This is where meditation and self hypnosis takes you to, this product mainly focuses on bringing you to this particular state so that you could experience greater relaxation quickly. Brainwave frequency – 4Hz – 7Hz. This is the sleep state that occurs after alpha state. Here you are slightly conscious, that’s why in this state you experience dreams. Brainwave frequency – Less than 4Hz. This happens during deep dreamless sleeps and a person is not even slightly conscious of his physical while experiences this state. The product’s job is to help people to experience altered states of consciousness based on what we have discussed above and it mainly assists one to relax deeply by bringing his mind to the alpha state. You will be getting 5 modules in this program which you can use based on your convenience and requirement. Each audio module is meant for different purposes and they are prepared in a way that you can make them a part of your daily schedule. You get an option to choose from 15 min or 30 min version of each audio track depending on the availability of time. 1 – To begin a great day with a quick morning rejuvenating meditation experience. 2 – For gaining a better focus that enables you to improve your work performance. 3 – To enhance your creativity in order to receive awesome ideas that can make some big changes in your life. 4 – This is like a reset button for your mind because it helps you to experience deep relaxation after a busy day. 5 – Final track is for a deep rejuvenating sleep. Like most good quality products, this too has received a lot of negative responses along with the appreciation. Some users have reported that they have experienced deep meditations and better mind functioning after the use of these modules. People have never meditated before are the ones who have found the most out of this program according to my knowledge because I have heard this particular benefit of omharmonics the most and many have also reported a great positive change in their sleeping patterns. One the other side some people say that they haven’t seen any difference after using this product, I don’t know why this happens in some cases maybe it is due to their lack of faith in such product. So, Is Omharmonics a scam? – Definitely not, but those who dream of acquiring superhuman skills will surely find themselves being deceived because of their own wrong expectations. I cannot say confidently that brainwave entrainment audios can really take you to these states based on the frequency of these beats because in my knowledge this stuff has not been proved yet, but many studies have supported this phenomenon. However, Omharmonics audios have helped me to meditate better and I enjoy the audios due the relaxing sounds they have used in it. I have experienced the altered states of consciousness many times, and I have used the sleep tracks a couple of times when I was not able to sleep properly. In my opinion you should buy it if you are interested in meditation and it definitely is a very good tool for people who have not meditated before. What I love about this product is that they don’t make that many false promises like others in this field, people usually are tricked by brainwave entrainment makers who claim to make your brain work like Einstein, that’s crazy right? On the other hand Mindvalley just promises to provide a Zen like meditation experience which you can achieve with the proper use of these audio tracks. I hope you enjoyed this post. I would love to hear your views, so please do leave a comment before leaving.